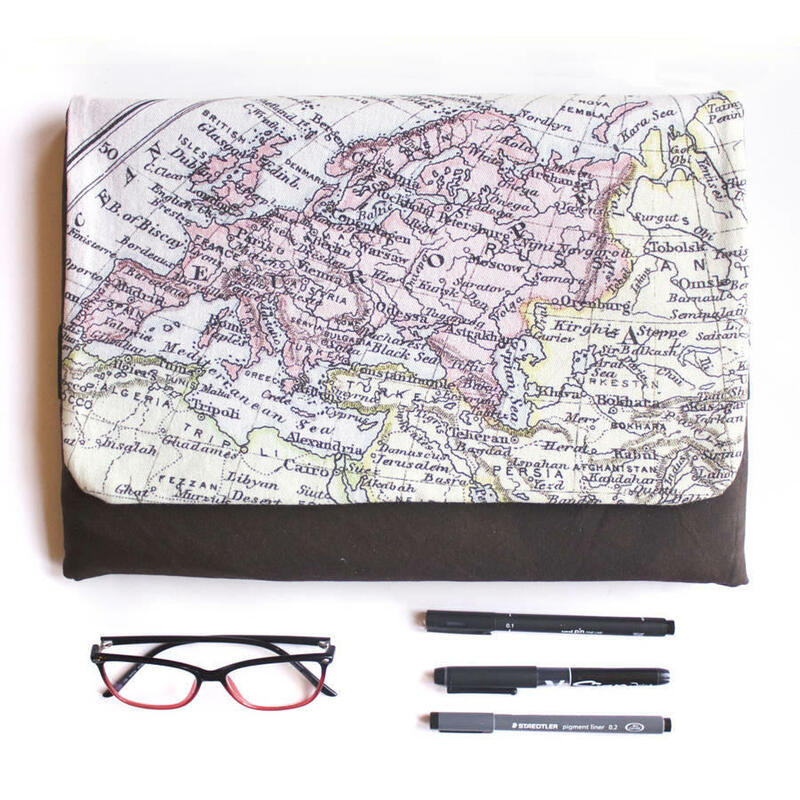 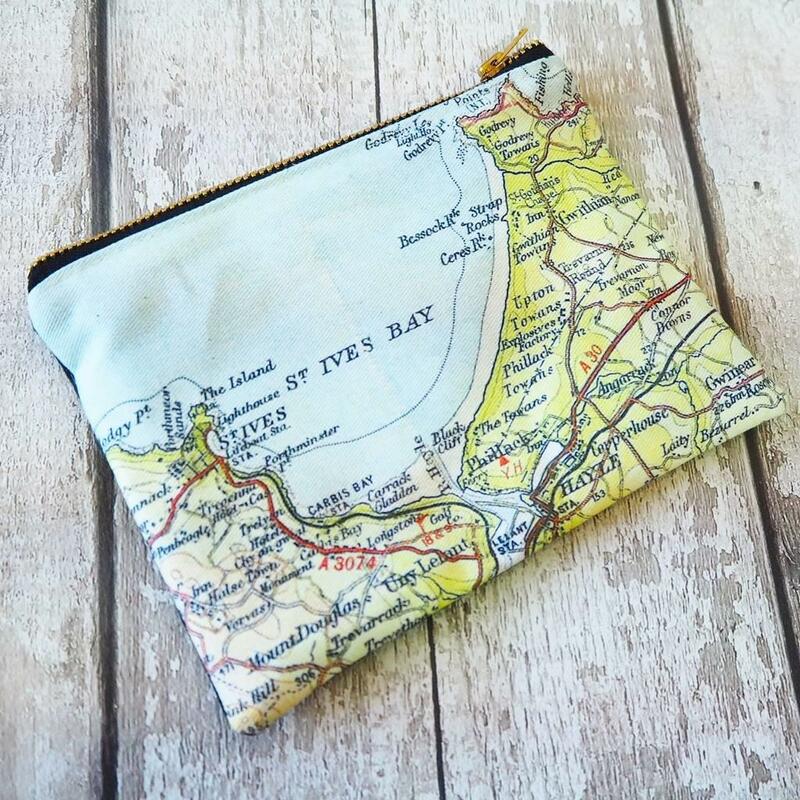 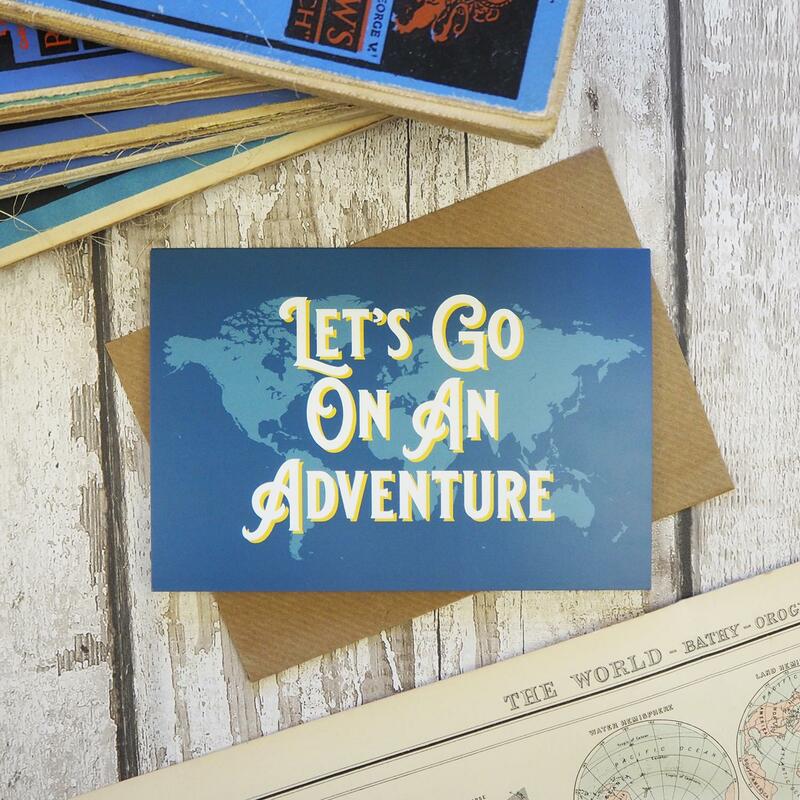 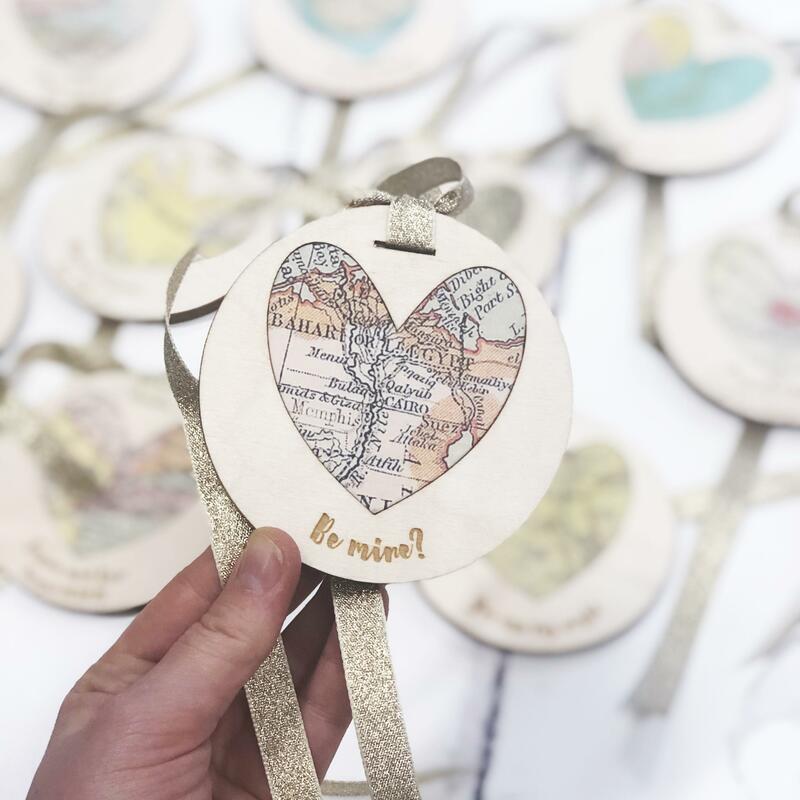 Inspire adventure with this 'Let's go on an adventure' world map card. 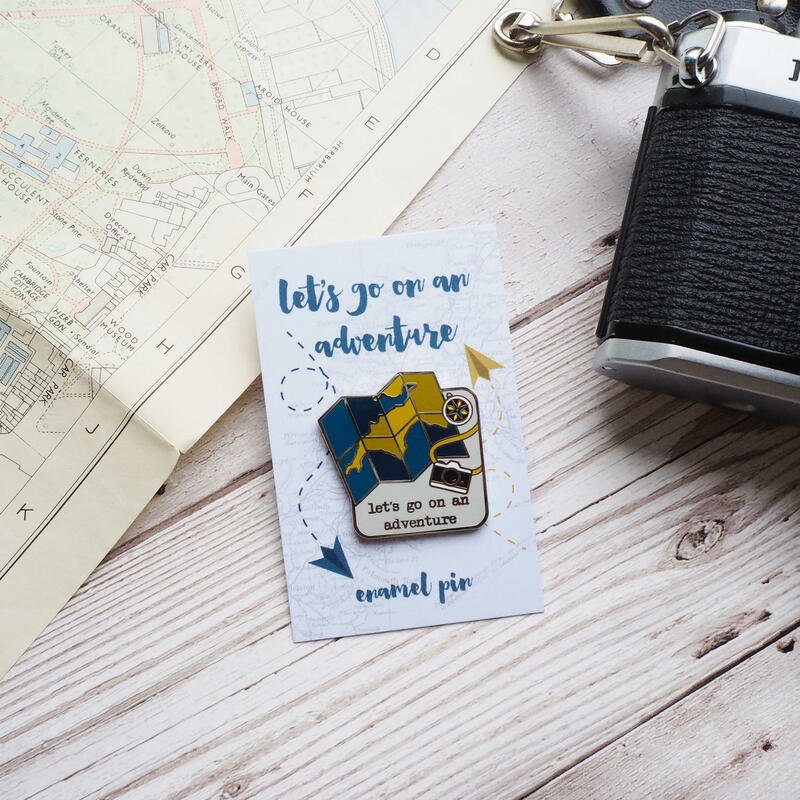 This card features a map of the world silhouette in blues, with 'Let's go on an adventure' in a vintage typeface in cream and yellow. 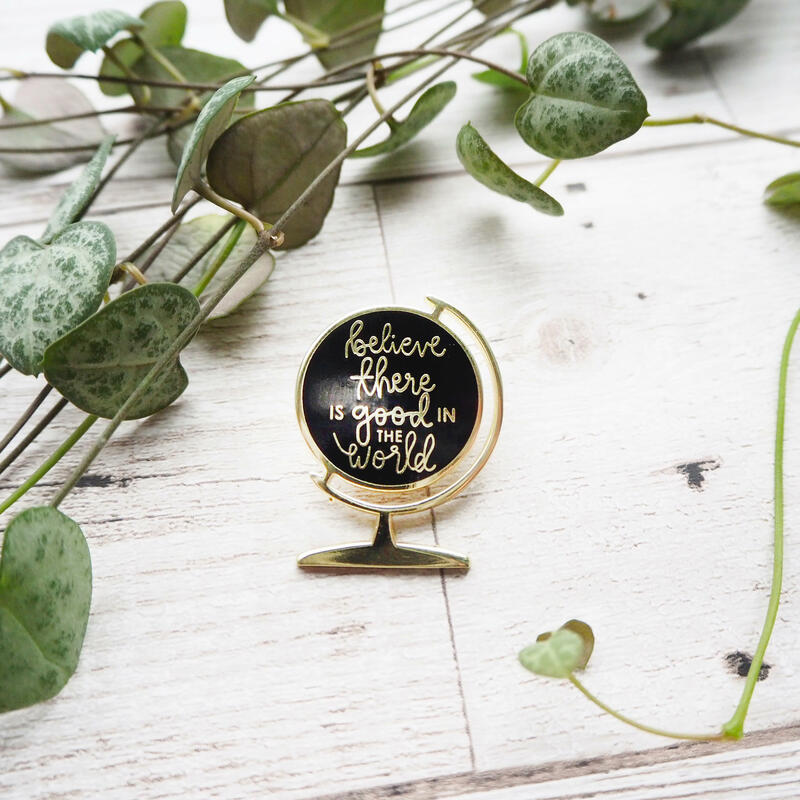 Perfect when paired with our 'Let's go on an adventure' enamel pin.